One size which is easy to alter. 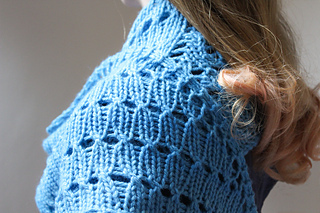 Starflower is a semi-circular shawl worked in chunky yarn to create a hug of wool that revels in simple elegance. 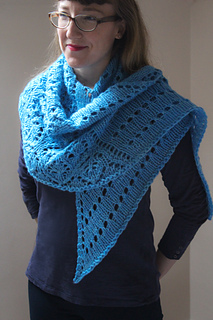 Easily made as large or as small as you would like, this is a perfect first-shawl project or a quick knit for someone in your life in need of warmth. 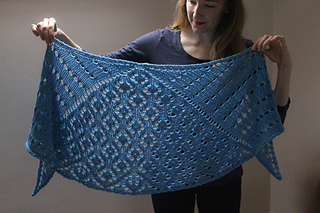 I chat about the shawl on the EastLondonKnit podcast Episode 7.